Permanence  Permanence breeds ultimate convenience. With PHANTOM, you apply the formula once at any point in your ski or snowboard’s life cycle, whether new or used. It’s that simple. PHANTOM’s sophisticated, timed polymerization process permanently penetrates the entire thickness of the base material with powerful go-fast fluoro compositions designed to operate across all snow temperatures. Even when the ski or snowboard goes into a shop for stone grindings, the next fresh layer of PHANTOM is exposed –– ready to glide. 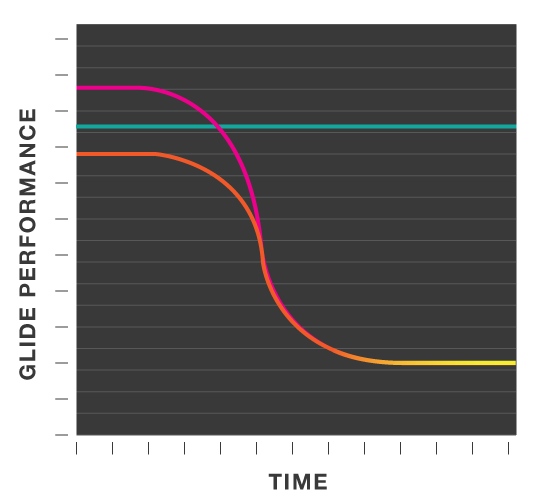 Performance  Unless you are constantly waxing with correct temperature specific waxes, PHANTOM is faster across all conditions over time because its performance is consistent: you never suffer the glide degradation that occurs when conventional wax quickly wears away. Environment  The innovation centers around the inclusion of glide-friendly fluorocarbon functional groups, but in a superior, new delivery method that renders them inert and harmless to humans, plants and animals. 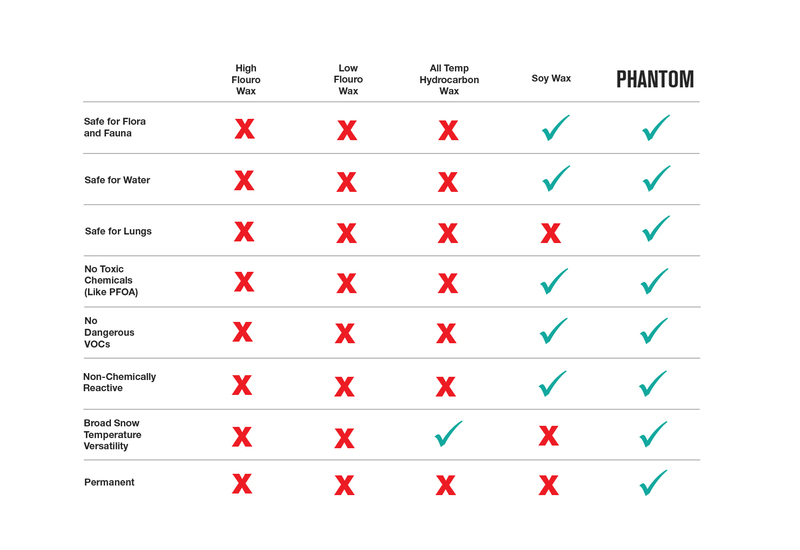 PHANTOM doesn’t cause biological damage, and doesn’t present any long-term environmental risks. Home Application  PHANTOM can be applied by an individual with access to direct and consistent UV sunlight to activate and cure the formula. Ideally, this should be done during the Spring, Summer, and Autumn seasons when the sun is high and temperatures are. For proper PHANTOM application, it’s critical for there be strong, direct sunlight and temperatures over 32ºF / 0ºC. Cure time is roughly 2 hours total, with another 20 minutes of prep work and brushing to complete the application. DPS also recommends base cleaner or a fresh stone grind prior to application. Cure Station  PHANTOM can be applied professionally by an Authorized PHANTOM Installer using a Cure Station. The process takes approximately 15 minutes for part A, and 15 minutes for part B, with minor additional preparation and soak time. This is the most precise and fast method to apply PHANTOM to skis or snowboards, and is a reliable all-season solution during the low light winter months, especially in more extreme latitudes, and in wetter climates where sunshine isn’t as consistent.